This common childhood dream of wanting to make movies is phrased quite similarly to another one: “When I grow up, I want to go to the moon/be an astronaut!” Despite the common verbage, the gaps of feasibility between the two have widened to astronomical degrees in the last five years. You still have to go through years of intense training and likely multiple programs at NASA to call yourself an official astronaut. To become a filmmaker though, just go pick up a camera and hit record. There, some dreams are attained so easily these days, right? …Right? Not so fast. Yes, as many of you may be aware, roughly five years ago saw the start of the “DSLR video revolution”, and with it came a flood of people with a brand new, inexpensive camera and a willingness to shoot whatever came their way. To put it harshly, you get noise. A lot of noise. If you don’t believe me, check YouTube. As of now (September 2013), on average 100 hours of video are uploaded to YouTube every minute. If you stop reading this post and just sit where you are for sixty seconds, likely over 4 full days of content just got added to YouTube. And that’s constant. Now how much of that content is worth watching to even a small percentage of people? Probably a fraction. Some of you might be tempted to stop reading because you think I’m just hating and ranting on affordable tools and equal opportunity grounds for the masses. Not at all. I have the ability to do what I do because of said tools, and I appreciate their potential fully. But I also take note of the negative aspects that come with them. The fact is that some people need a reality check when they get a camera that shoots video for the first time, whether it’s a DSLR or a Red EPIC. Just because you get a paintbrush doesn’t make you a painter by trade. If you buy a book on coding and some software, you are not suddenly a computer programmer. If you go download Apple’s mobile dev kit, you are not an app developer. And if you buy a camera, you are not instantly a filmmaker. 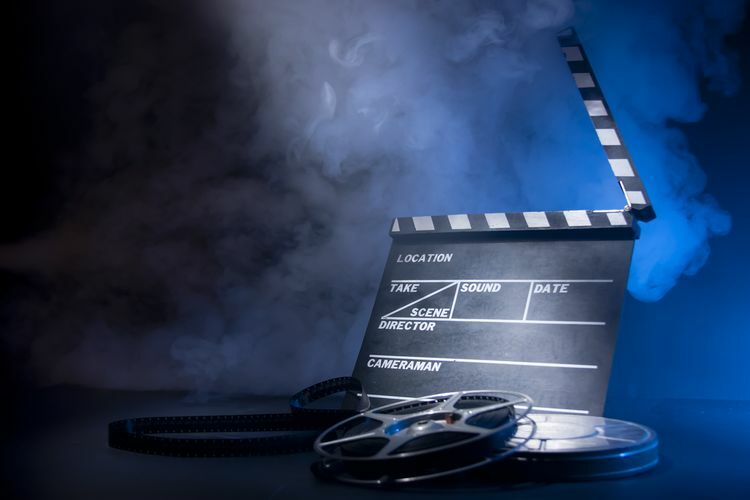 Unfortunately, despite the tools having become widely affordable relative to 5 or 10 years ago, the childhood dream of making movies is not suddenly made easy. While it may take much less money and time to get started filming than becoming an astronaut, it can still take many years to acquire the skills necessary to be a “professional” filmmaker. It takes time, dedication, and experience—not just equipment. In fact, a lot of people who just made their first film (congratulations!) are realizing just how impossible it can seem to distribute and find an audience for it. So the people with a lot of heart and a little money to support their dreams are facing a catch-22. It’s easier to get in today than it ever has been, and it’s harder than ever to get noticed. The bar of entry has been lowered, which is great, and there has been a resulting flood of mediocrity being released, which isn’t so great. This flood of content means that higher quality pieces can be lost or at least much harder to find when wading through countless other videos. What is the solution then? I’ve been essentially saying that getting a camera, working hard, and being talented no longer cut it in today’s world of filmmaking. It’s hard to get noticed just for talent. The key now is to being consistent. Getting noticed for one-offs is essentially a rarity. But you know what else is a rarity? Producing high-quality content, consistently. Your chances for getting noticed are much higher that way. It could take years of doing it. Success in the movie industry will not come from your first feature movie, the one you’ve been re-writing and waiting your whole life to tell. No. The first thing that comes after that wonderful completion is the inevitable question, “What’s your next project?” You should have one, or several, if you want to maintain interest and growth. Am I against people going out with a new camera, trying new things, and experimenting? No, I’m all for that. Play around. Have fun. And figure out if it’s something you actually love enough to dedicate your career to. Because being a filmmaker isn’t all fun and games, and can be terribly hard sometimes. So it’s best to figure out if you really have the passion to stick it out through the rough times before you jump in too deep trying to attain a childhood dream. http://www.neffvisuals.com/wp-content/uploads/filmmaking.jpg 500 750 Samuel Neff http://www.neffvisuals.com/wp-content/uploads/neff-visuals-logo-4.png Samuel Neff2013-09-09 19:03:122014-07-15 17:21:05"When I Grow Up, I Want to Make Movies!"